China has been busy launching satellites, and again on Saturday, November 25 they successfully launched remote sensing satellites. The satellites have entered the preset orbit and today's launching mission was proclaimed a success, the report said. They will conduct electromagnetic probes and other experiments, the report said. China on Saturday successfully launched remote sensing satellites designed to conduct electromagnetic probes and other experiments, state media reported. 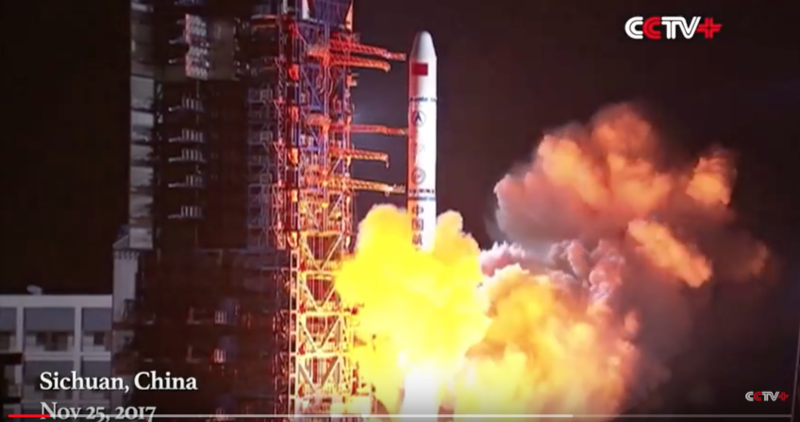 The satellites, whose number is not specified yet, were launched on a Long March-2C rocket from Xichang Satellite Launch Center in southwestern Sichuan province at 2:10 AM (local time), Xinhua news agency reported.